i love reading and discussing what i read, i searched for a local book club to join but came up empty handed. so my solution was to create a book club, it has been fantastic! always great conversation, wine, food & friends- a bi-monthly get together that never disappoints. besides our shared love of reading we also are closet foodies and winos, ummm I mean connoisseurs of wine; our club is appropriately named "Reading between the Wines" - Kate is so clever! for our last get together i was in charge of dessert; i was looking for something quick and easy and stumbled across fudge -topped chai bars from (never home) maker . a few adjustments to the original recipe and i was on my way to a sweet treat. everyone loved them, my mom who is not really a sweets person downed 2 during book club. Preheat your oven to 350 degrees F. Spritz an 8 x 8 inch pan with some canola oil and set aside. Cream together the Earth Balance, peanut butter, and brown sugar. Beat in the vanilla. 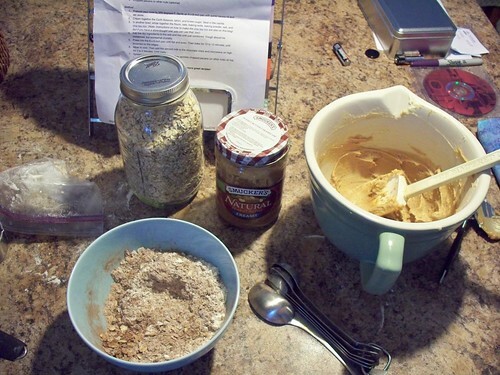 In another bowl, whisk together the flours, oats, baking soda, baking powder, salt, and chai & mighty mix. 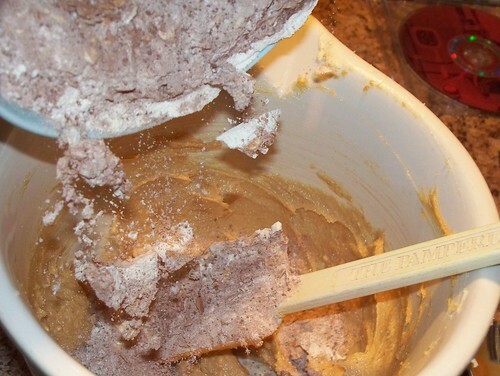 Add the dry ingredients to the wet and mix until just combined. Dough should be moistened, but somewhat crumbly. Press into the 8 x 8 inch pan until flat and even. Then bake for 10 to 12 minutes, until browned on the edges. Allow to cool. Then add the almond milk to the chocolate chips and microwave on high for 1 to 2 minutes. Until melty. 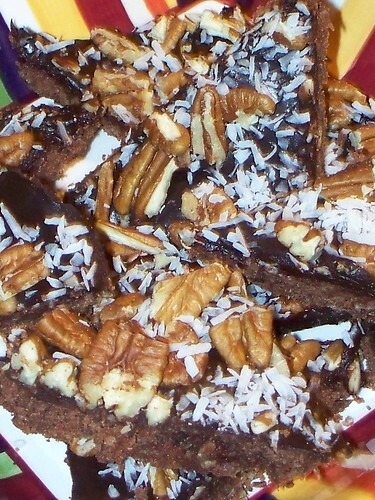 Spread chocolate over the bars and then sprinkle chopped pecans (or other nuts)& coconut on top. Let cool in the refrigerator.